The Phantom is a series of Unarmed Aerial Vehicles (UAV) developed by the Chinese manufacturer DJI. It is mainly built up for commercial, amateur and hobbyist users and is basically a flying camera that is quite easy to use. 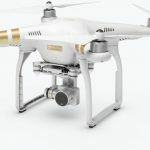 The various products released under its umbrella of are Phantom1, Phantom2, Phantom 3 and Phantom 4 with standard, professional, advanced and pro variants. Its most common usage is for the purpose of drone journalism, hurricane hunting, 3-D landscape mapping, nature protection, farming, search and rescue, aircraft inspection, tornado chasing, and lava lake explorations. Due to its easy to use nature it is widely used and liked by the hobbyists and travelers. The built-in GPS records the Phantoms takeoff point and remembers it during the whole journey and is able to remain stable and under the users control during the whole journey. It possesses auto-hover capabilities and always waits for the instructions of the user. It is highly reliable and stays inside the defined chosen safe limits of flying. LIVE GPS services enable it to give its location to the user on their mobile device and also send battery level reminders at constant intervals. The bright LED lights on its each arm give status and direction indicators. With this remote controlled drone now we are able to enjoy the thrill of flight as it speeds through the air.